Can you fight through your emotions when you know something is wrong? Jiang Sheng and Liang Sheng are half-siblings who grew up through a difficult childhood with only each other to rely on. When their feelings for each other turn into more than just brother and sister, they both try to suppress their feelings because they know that it’s wrong. Years later, Liang Sheng gets into a car accident and disappears without a trace. With the help of Cheng Tian You, Jiang Sheng looks for Liang Sheng without any luck. 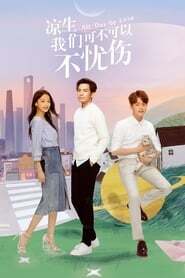 Tian You falls in love with Jiang Sheng, and the two get married. But when Liang Sheng reappears, what difficult choices will Jiang Sheng have to make?